William L. Knott, age 78 of Carrollton, passed away November 15, 2018. He was born March 04, 1940 in Lake Worth, Florida, son of the late William Calvin “W. C.” Knott and Euna Mae Davis Knott. He proudly served in the Army National Guard after high school. 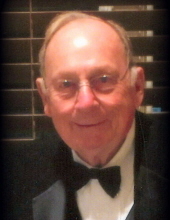 He was an entrepreneur since 1968 and long time business owner, which included Knott & Associates. In addition to his parents, he is preceded in death by a brother, Larry Knott. Survivors include his son and daughter-in-law, Hal and Jean Knott of Carrollton; brother and sister-in-law, Mark and April Knott of Elberton, GA; and four grandchildren. Funeral service will be conducted Saturday, November 17, 2018 at 2:00 PM from Martin & Hightower Heritage Chapel with Rev. Anthony Puckett officiating. Interment will follow in Indian Creek Baptist Church. The family will receive friends at the funeral home on Friday, November 16, 2018 from 4:00 PM until 7:00 PM. Flowers are welcome, but those who desire may make memorial contributions to a charity of their choice in honor of Mr. William Knott. Messages of condolences can be sent to the family at www.martin-hightower.com . To send flowers or a remembrance gift to the family of William L Knott, please visit our Tribute Store. "Email Address" would like to share the life celebration of William L Knott. Click on the "link" to go to share a favorite memory or leave a condolence message for the family.